Our team can provide fantastic results for your custom corporate logo so that it reflects the true sense of your business or organization. Your new logo will be custom designed which means it can be legally trademarked. One of the logos above was based on the particular product that our client has created, patented and is now selling on line. The color, form and shape are based on the actual shape of the roller rods. There are several subtle details that relatesto the item. We can design and print business cards of every style, color, thickness, finishing, and shape. Your business card is your identity. It is one of the most vital parts of your marketing. At a quick glance, the prospect decides if your business is professional. The card samples you see above reflect the clients' company style and industry. We can also print circle, rounded corner, leaf, square, elongated, baseball card size, and double-sided business cards. Brochures are used by companies and non-profit organizations to tell the world about who they are and what products or service they offer. 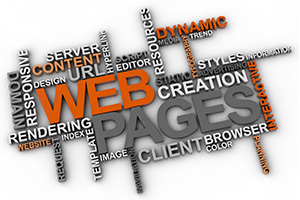 At Business Website Center, we will make sure that your company or organizational brochure stands out from the crowd by creating a custom design that works for you. We also offer digital or offset printing and many different sizes and folding options such as (but not limited to) tri-folding and z-folding. Great graphic design clearly communicates a message and engages existing customers, prospective clients, and investors before they read a single word. Images and custom graphics can speak a thousand words. At Business Website Center, we listen to you and your goals. We create fliers for your business according to the overall message you want it to convey to its readers. Just like other printed material, fliers (or flyers) come in different sizes. We offer all of the options available on the market. Banners are a great way to spread your message. Placing them in great location with high traffic is by far the most affordable way to advertise. Our company can print large format banners on high quality vinyl and other paper stocks. Do you need a wide format poster for a meeting, a banner for an event, tradeshow, your retail office fronts or corporate announcements? Call us for a free quote at (707) 794-9999. Same day turnaround time also available for your last moment projects. Yard signs, also called card signs, are perfect for outdoor advertising such as real estate, painters, general contractors, etc ...our advertisements cannot look just like the local competition; it has to stand through excellent graphic design and clear textual message. Your yard sign needs to stand out in order to be noticed. It simply needs to be more memorable than the rest. Does your yard sign do that? If not, do not hesitate to contact our graphic design team at (707) 794-9999. Advertising is essential for any small or large business. We offer a variety of different advertising services designed with your specific business in mind. Post cards come in different sizes and the most affordable mailer type since their printing and mailing are more affordable than envelopes or full size catalogs. We can design beautiful graphics that send your message clearly to the receiver. This particular postcard was designed to reflect our customer's style and project which was the release of their Spring collection. Seasonal greeting cards are becoming quite popular in the world of business. It tells the client that your company still cares about old fashion customer service, and that you are taking the time to reach out to your clientele. They can be seasonal such as Holiday Greetings, or occasional, such as an invitation to a company barbeque. Regardless of the event, we can custom design graphics for a greeting card that fits your goal. The art of greeting cards is not lost. Booklets are used for many different reasons, from organizing information about your products or services, to listing a directory of people. Whether you opt for a perfect bound black and white booklet, or a saddle stitched full color booklet, our company can design and deliver a finished quality product to you in no time. We can design the graphics, but also assist with the copy writing. Booklets can be done in different sizes from full size to statement size.